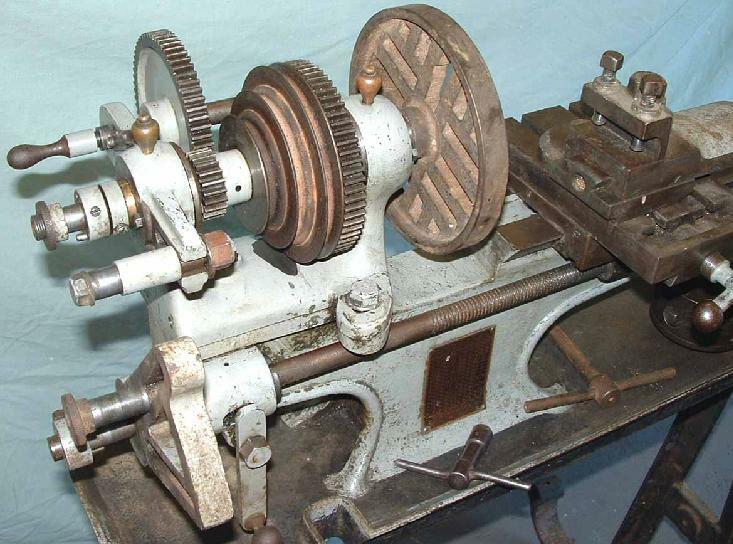 With no maker's badge to confirm their identity (and sometimes found with either a Brown Brothers of London, IXL or Alfred Herbert badges), it was long thought that these lathes were a version of the better-known 3.5" flat-bed Drummond. 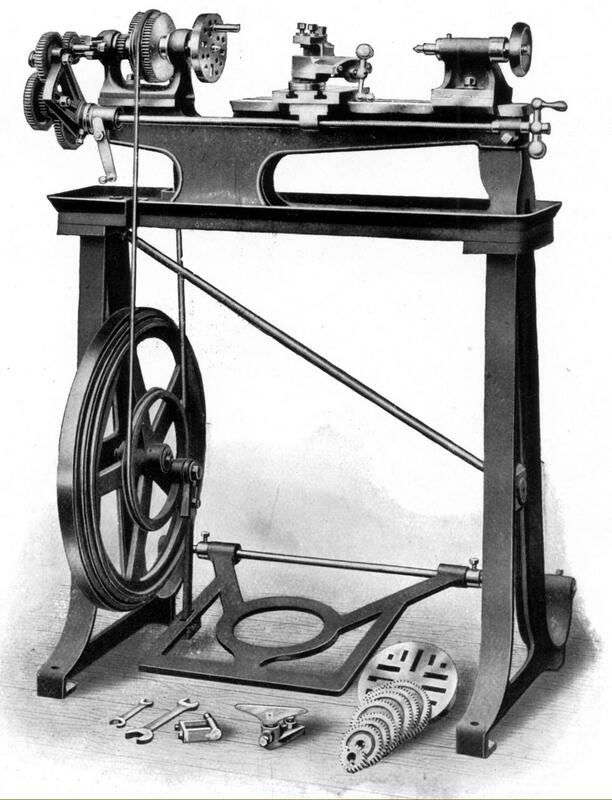 It was only when the grandson of a gentleman who had been the original purchaser came forward with both the lathe and supporting paperwork that that the writer was alerted to the truth. 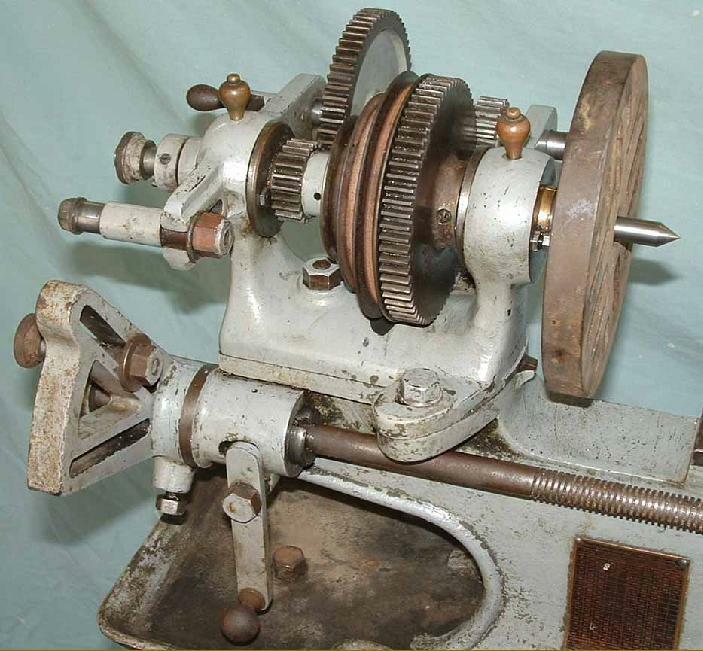 In addition, the model has been found advertised on the first page of Alfred Herbert's Small Tool Catalogue, second edition, dated 1909 (probably printed late 1908), when it was priced at £18 : 0s : 0d with a 25% discount offered to retailers. In recent years (during the first decade or so of the 21st century), several other examples came to light including two in Australia - although some are sufficiently different to either raise further questions as to their origin. One particular machine, found in the upstairs workshop of a plumbers in Bolton during 2011, appears totally original, even to its paint finish, and is believed to have been there since new. 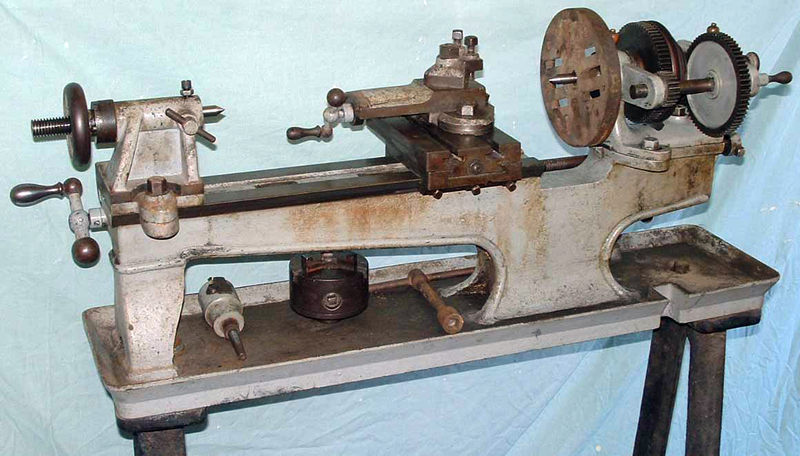 Examples with "IXL" badges confirm that the lathe was also factored, IXL being well known for ordering a bath of lathes and attaching their own identification. 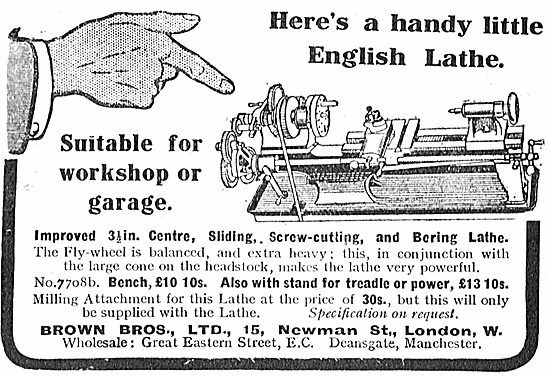 This re-branding was common between 1900 and 1940 as manufacturers found it easier to supply a limited number of trade customer rather than individuals. 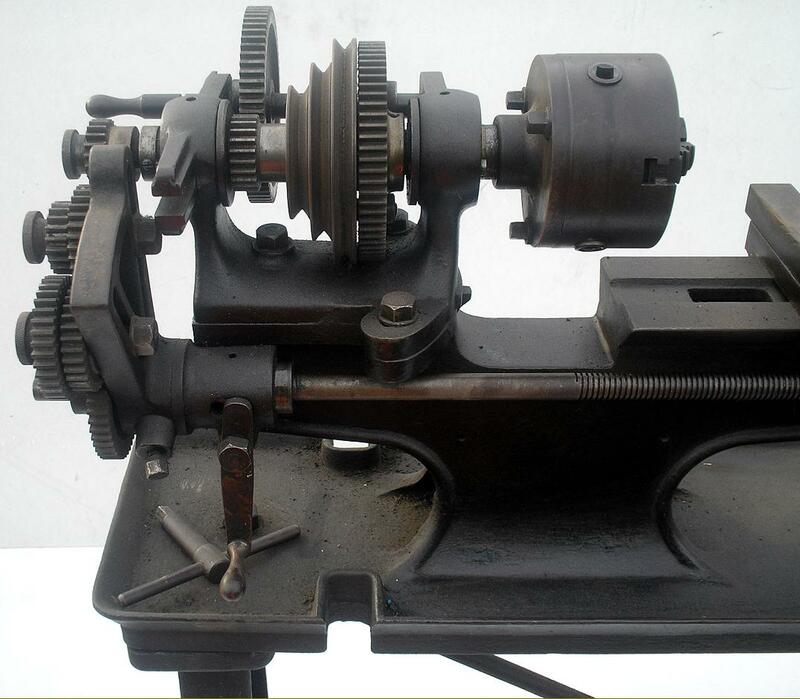 Supplied as standard on a treadle-equipped cast-iron stand, a 21-inch diameter ((535 mm) flywheel was fitted that had two high-speed and one low-speed groove intended to take a 3/8" (10 mm) diameter round leather "gut" rope. 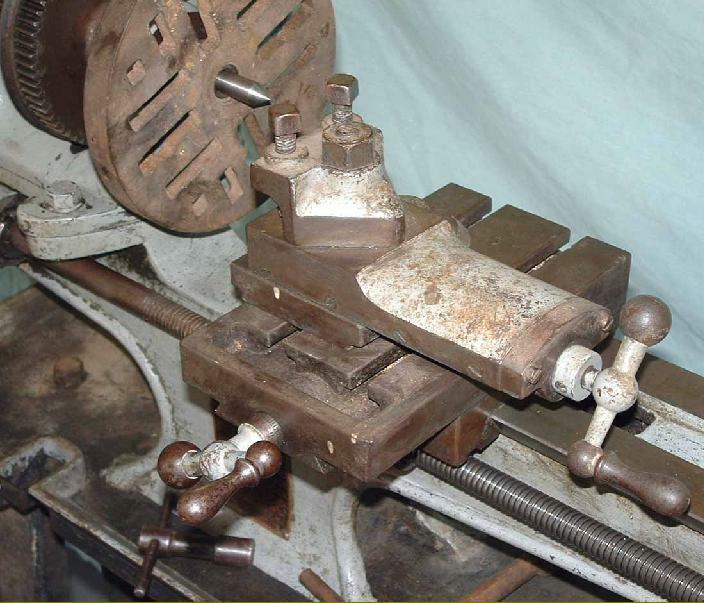 On the first model (as advertised) the tool slide was, like that on the similar Drummond, just a simple, single swivelling type, but on all surviving example a proper compound type (with separate top and cross slides) has been found. 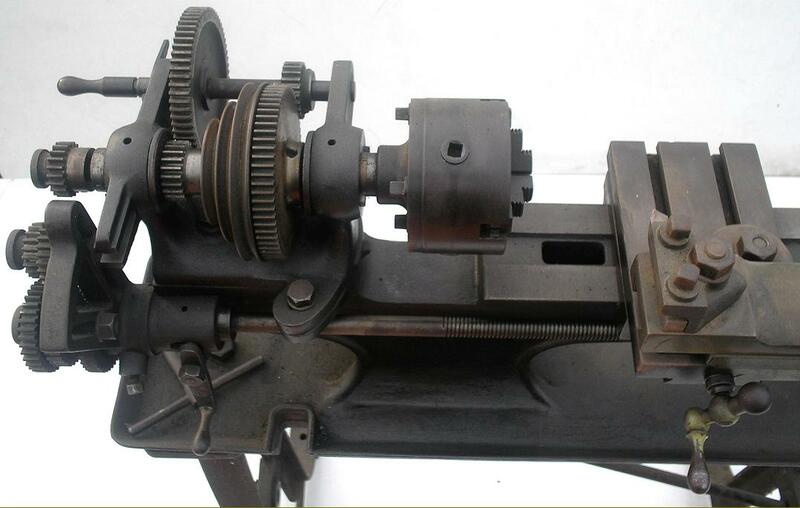 Although the compound may well have been offered as an option, it's more likely to have been introduced as a standard fitting, as the entire carriage assembly is of a different design. 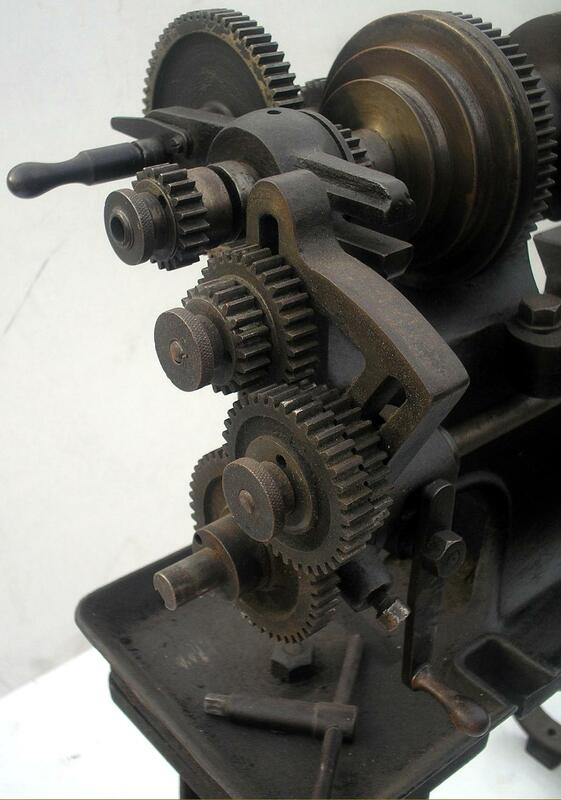 Supplied with each new example was a full set of screwcutting changewheels, a hand tool rest, two faceplates ( 43/8" and 61/2"), a travelling steady and the necessary spanners. 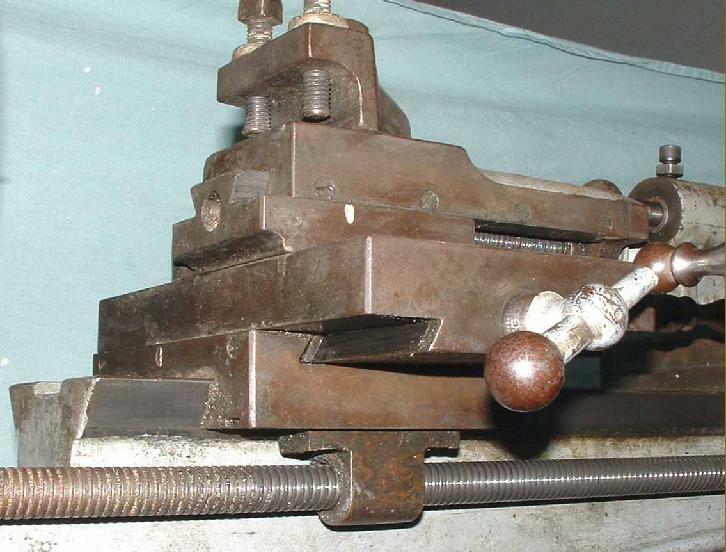 Occupying a space some 34" x 21" (865 x 535 mm) it weighed approximately 350 lbs (159 kg). 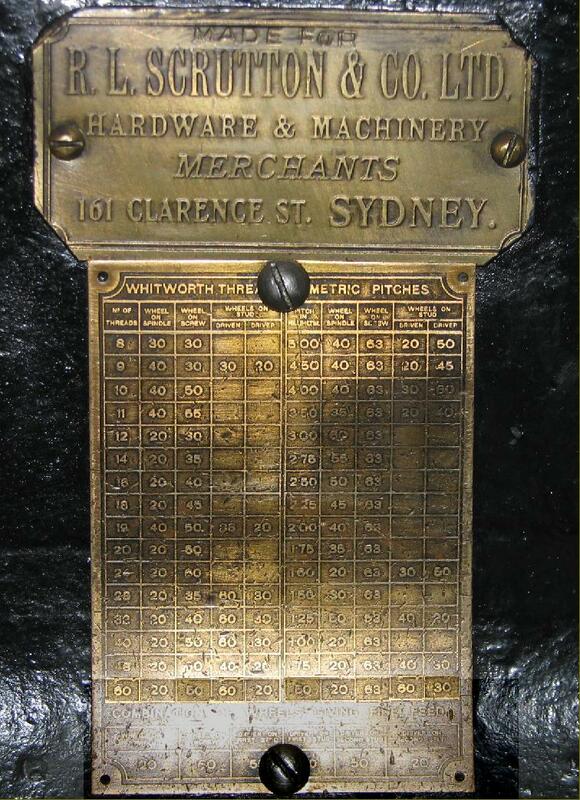 dated 1906, when it was priced at £18 : 0s : 0d with a 25% discount offered to retailers. 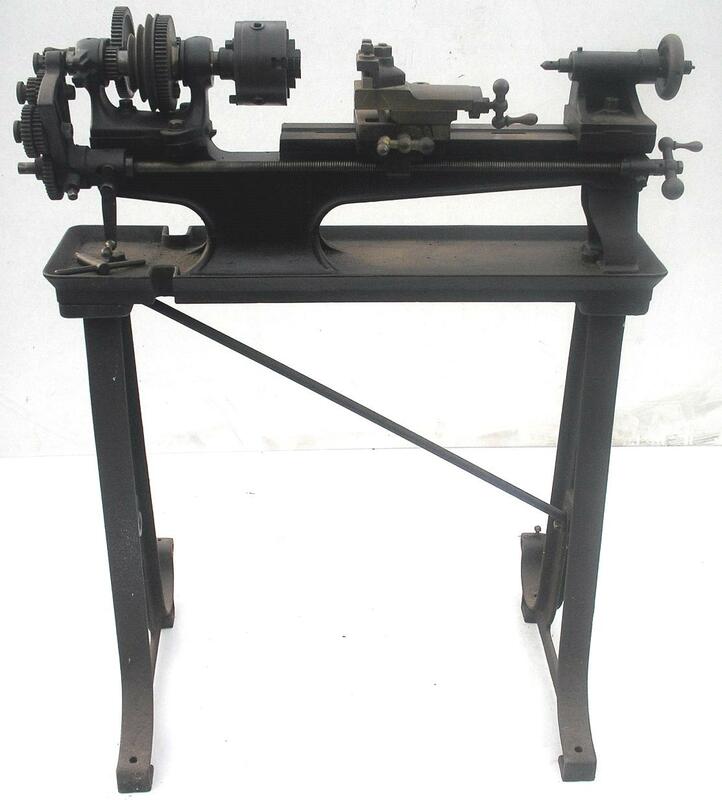 A third example of the machine, complete on the original treadle-drive stand, in the Australian New South Wales Lithgow Small Arms Factory Museum, Screwed to the front of the bed above the screwcutting chart is the supplier's badge - Scrutton, a once well-known supplier of engineering equipment in Australia. 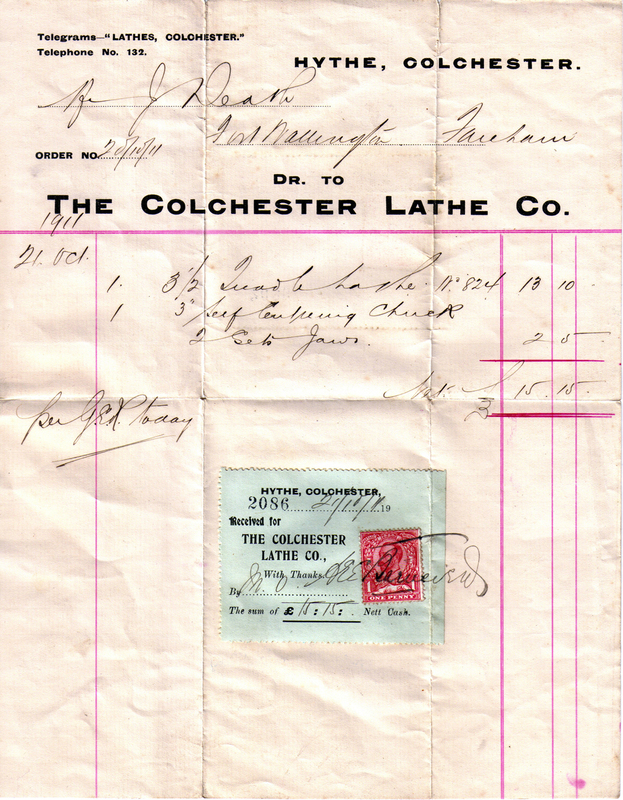 A remarkably well-preserved and entirely original early Colchester. 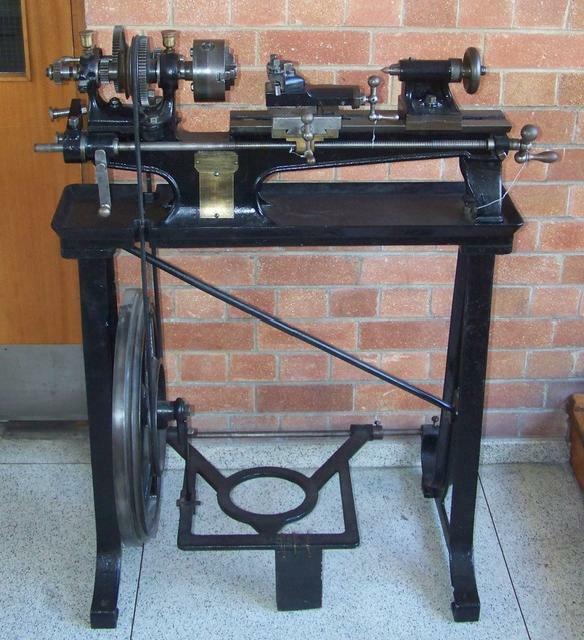 Found in the upstairs workshop of a plumbers in Bolton during 2011, it appears that the lathe had been there since new.